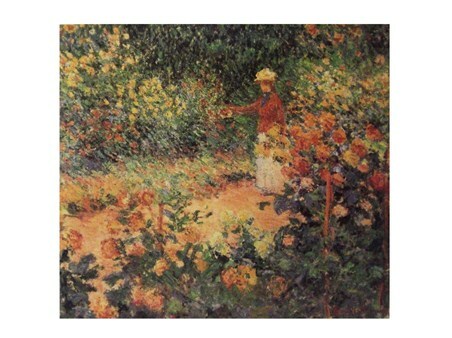 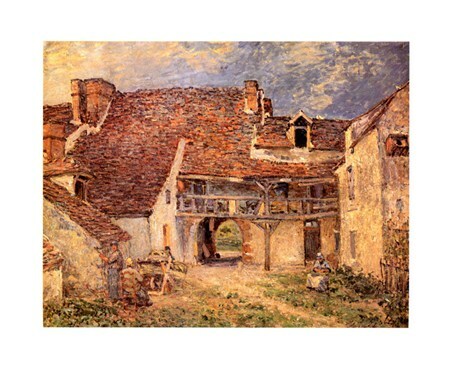 Post Impressionist Art Print: Lose yourself in the beautiful morning views as you take in this stunning piece of art work by French painter, Paul Gauguin. 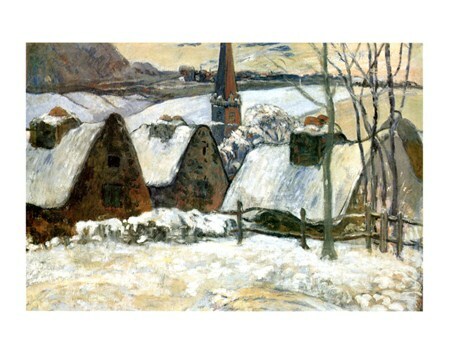 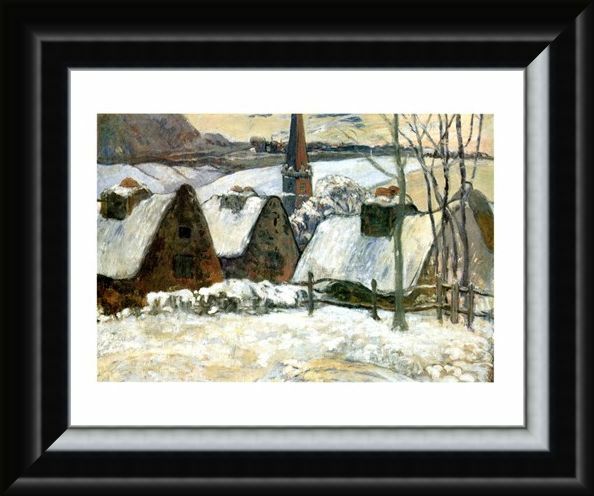 As part of the post impressionist genre, his art is a mixture of impressionism and geometric forms and this wonderful piece, 'Village Breton Sous La Neige' (Breton Village in the Snow) really captures the wonder of a snowy day as every visible surface turns to white. 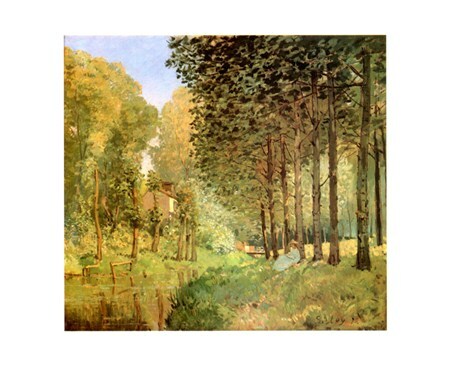 The slanting roofs and swaying trees reflect the sunlight as a tall church spire stands tall in the background. 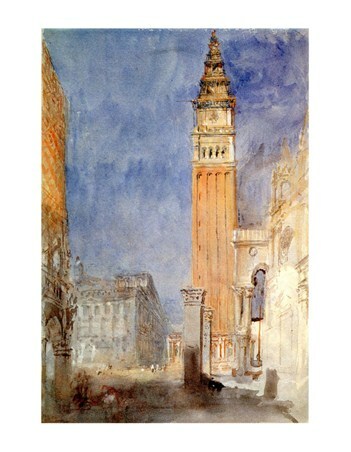 This lovely print will make a great addition to any home and lens a really homely feel to your room. 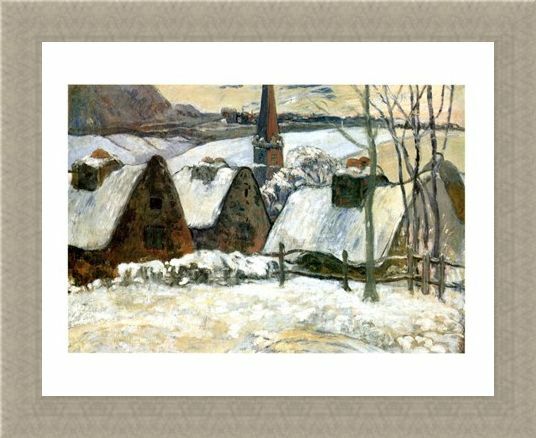 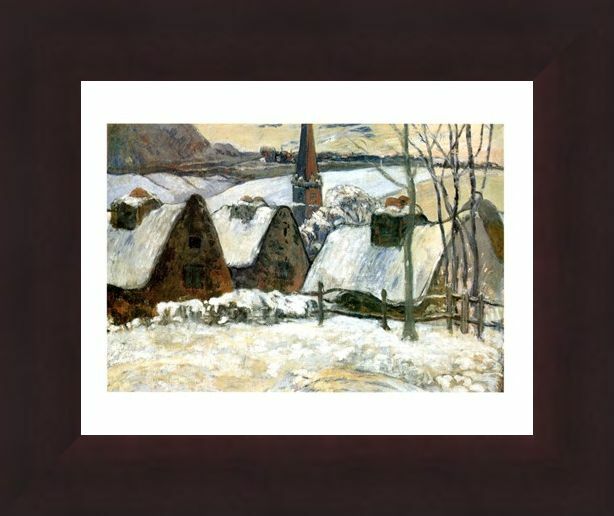 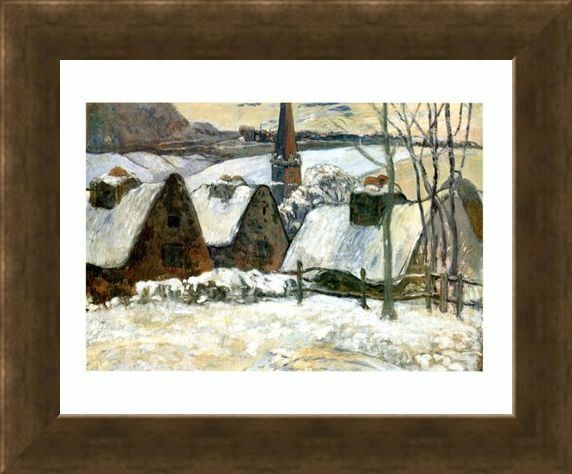 High quality, framed Village Breton Sous La Neige, Paul Gauguin mini print with a bespoke frame by our custom framing service.